Some belated catch up posting, this time something for my institutional home RUSI. Was inspired by the terrible rhetoric that we continue to be seeing deployed in the wake of terrorist incidents by political leaders, and the particularly horrible incidents attacks we saw in the US ahead of the mid-term elections. There is something brewing on the far right which while not totally new, has the potential to cause some major societal damage. On top of the fact of how our public discourse has now shifted, it seems deeply unwise for certain rhetoric to be deployed. Unfortunately, little evidence on the horizon that anything is going to change. Recent attacks perpetrated by extreme right wing terrorists in the US are undoubtedly linked to the upcoming mid-term elections, reflecting the reality that the country’s charged political scene may be pushing would-be terrorists into action. There can be little doubt that there is a correlation of some sort between the spate of mail bombs dispatched around the US last week, the murderous shooting in a Pittsburgh synagogue and next week’s mid-term elections. The poisonous rhetoric deployed in political discourse will rile people up and stir anger, which a few individuals will take to its natural extreme conclusion. This in turn is exacerbating a growing shift towards lone actor terrorism as the principal expression of extremist violence in Europe and North America, something that we see acknowledged in the spate of incidents in the US and the news that MI5 is to take on a greater leadership role in fighting the extreme right wing (XRW) in the UK. The sorts of attacks seen in the US over the past week can, on the surface, appear to be the sort that are almost impossible to prevent. An isolated individual who decides to take matters into his own hands, using objects which are relatively accessible to the general public might set off very few tripwires for authorities. In fact, what is usually discovered in the wake of such incidents is that the individuals involved were in fact quite indiscrete in their behaviour. In the case of both Cesar Sayoc (the mail pipe bomber) and Robert Bowers (the Pittsburgh shooter), there was ample evidence of their vile views in their online activity. In Sayoc’s case, he was also vocal about his extreme views among people he knew and in public. Bowers was quieter in person, but foreshadowed his intent on a social media platform called Gab prior to launching his attack. None of this behaviour is surprising for lone actor terrorists. In a study undertaken by a RUSI-led research consortium in 2016 focused on lone actor terrorism in Europe, from a pool of 120 cases between 2000 and 2014 across the ideological spectrum, perpetrators exhibited ‘leakage’ of some sort in at least 46% of cases. This ‘leakage’ took various forms, with some individuals changing behaviour in front of their families, while others made far clearer statements of intent which almost exactly described the acts they later committed. While there were considerable similarities among the various ideological groups in the dataset, there was a noticeable difference between the XRW and religiously inspired terrorists (the two biggest groups in the dataset), with XRW terrorists being far more likely to post telling indicators online. One perpetrator identified by researchers posted on an XRW website, ‘watch television on Sunday, I will be a the star … Death to zog [Zionist Occupation Government], 88!’. ‘88’ represents ‘Heil Hitler’, as H is the eighth letter of the alphabet. There is some similarity between this commentary and Bowers’s final post on Gab, ‘I can’t sit by and watch my people get slaughtered. Screw your optics, I’m going in’. Given the data for the study was largely drawn from what was available in the public domain, and with some cases being drawing on sparse information, researchers suspected that the actual number might be higher than 46%. From current understanding, Sayoc does not appear to have signalled his intent as explicitly, but he seems to have had a deep appreciation for US President Donald Trump’s more extreme narratives and this appears to have shaped his choice of targets. Aiming at a wide range of prominent figures and institutions which have arrayed themselves against Trump politically, in public reporting Sayoc appears to have expressed his extreme pro-Trump views to several people in his immediate surroundings, having driven a van emblazoned with his support. This appears to be in stark contrast to Bowers, who seemingly moved through his immediate community ‘like a ghost’. His in-person behaviour was apparently different from his crude, violently anti-Semitic and anti-Trump online persona. While divergent in outward appearance, neither of these patterns are atypical to XRW lone attackers, where socially awkward individuals will externalise their behaviour abruptly and dramatically, often with some clear indicators beforehand that are unfortunately often only comprehensible in the aftermath of an attack. Even Bowers’s apparently obvious online vitriol is depressingly indistinguishable from the torrent of hatred that can be found on some XRW websites. What is clear, however, is that the increasingly poisonous political rhetoric seen around the world is in part to blame for such incidents. In much the same way that the anger stirred up around the 2016 EU referendum was likely, in part, to blame for the murder of MP Jo Cox, it seems likely that the political winds stirring in the US in part compelled these two men to act. The sense of great political confrontation at hand and the language used in the mainstream likely accelerated the behaviour of already undoubtedly troubled individuals. But what is most worrying is the fact that aside from the violence that is visible through these individual acts, there is a growing organisation and structure to the XRW in the UK. While the US scene has long been populated by a mix of groups and isolated individuals, the UK scene was, until relatively recently, largely the domain of isolated individuals, with organised violent groups a limited part of the XRW picture. This has been changing of late, with the emergence of groups like National Action, whose intent on murdering politicians and organising attacks in the UK has led to them becoming a growing focus to the UK’s intelligence services. 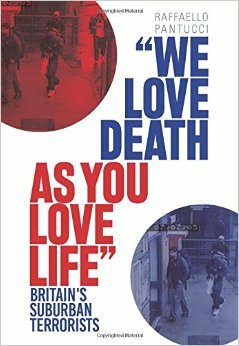 It is still difficult to make absolute comparisons between the XRW and violent Islamist terrorism in the UK. While there is a growing organisational structure and menace in the XRW in the UK, the shadow of violent Islamists’ aspirations remains far more dangerous. But the XRW draws from more mainstream political narratives, meaning the damage to society’s fabric can be more substantial. There have also been catastrophic XRW attacks in Europe in recent memory – specifically, Anders Behring Breivik’s 2010 massacre in Norway. The XRW has the potential to cause mass innocent death, and feeds off a broader political discourse which is already deeply troubled. There is a link between what is happening in the world more generally, and society’s violent political edge. And unless attention is paid, one will make the other worse. BANNER IMAGE: Smoke rises over Oslo following the detonation of a car bomb near the executive government quarter of Norway, 22 July 2011. Right wing extremist Anders Behring Breivik’s attack remains one of the most catastrophic extreme right wing attacks in Europe in recent memory. Courtesy of Wikimedia. A short reaction piece to events this week in San Bernadino, a strange terrorist attack that reflects a trend that has been visible for a while in terms of terrorist attacks taking an increasingly confusing aspect in terms of direction and ideology, but also adjacent to a reality in the United States of large-scale weapon ownership. The piece was published in a Spanish paper called La Razon, and so I have posted the Spanish, and below that the original English submitted. Undoubtedly more on this topic as time goes on. Con EE UU aún sacudido por los asesinatos de un agente de Policía y otras dos personas en una clínica de planificación familiar en Colorado, la localidad californiana de San Bernardino se ha convertido en escena de un nuevo tiroteo masivo. La naturaleza de lo sucedido en California no está clara todavía, pero los primeros datos apuntan a la creciente dificultad y naturaleza confusa de la amenaza a la que se enfrentan las sociedades modernas. Hasta ahora han salido a la luz las conexiones con Arabia Saudí de los sospechosos del tiroteo, que uno de ellos había trabajado en el centro de discapacitados donde sucedió el ataque y que había discutido con sus colegas hacía poco, y se considera claro que el ataque fue planeado. Este hecho unido a sus conexiones con el extranjero sugiere un posible móvil terrorista, pero al mismo tiempo, la discusión y la conexión personal con el centro podrían apuntar a otra causa. Tampoco hay razones suficientes para descartar que ambos hechos estén relacionados. Existe la posibilidad de que los sospechosos hubieran estado expuestos a material radical y que estuvieran planeando algo; en este caso, la pelea con el resto de trabajadores habría sido el desencadenante de la acción. No obstante, como ambos sospechosos murieron, es posible que nunca lo sepamos con certeza. Es probable que el mundo continúe presenciando tales atrocidades en el futuro. El aumento de la difusión de ideologías extremistas, junto a las reacciones de furia e imitación, además del fácil acceso a armamento pesado, apuntan al hecho de que continúe esta plaga de explosiones repentinas de ira. Entre éstas, están la matanza de Robert Dear en Colorado, la masacre en San Bernardino o los atentados más elaborados de París o Bamako. El terrorismo, en sus múltiples formas, continuará siendo una característica de la sociedad organizada durante los próximos años. With the United States still shaken by the murders of a police officer and two others at a Planned Parenthood clinic in Colorado, San Bernadino, California was the scene of another mass shooting this week. The exact nature of what went on in California was unclear, but the early contours of what is known point to the increasingly difficult and confusing nature of the threat that modern societies face. With news that the individuals involved in California had links to Saudi Arabia, that one of them had worked at the disabled home that was targeted and had recently fallen out with his colleagues, and at the same time the clear evidence that they had planned their attack – a whole series of analytical details are suggested at that leave no clear conclusion. The pre-planning and the links abroad suggest a possible terrorist motive, but at the same time, the row and personal connection to the target suggest something else. And there is no reason to necessarily conclude that the two are not even linked in some way. The possibility exists that the individuals will now be discovered to have consumed some radical material and been considering doing something, and the row with co-workers was the trigger into action. Given both of the suspects are now dead, it is possible we will never really know. Looking forwards, it is likely that the world will continue to see such confusing atrocities. The increasing diffusion of extremist ideologies and the rapidity with which people can adopt them, alongside the longstanding human reactions of anger and emulation, as well as the easy access to heavy weaponry all point to the fact that such sudden explosions of anger are headed to continue to plague us. Be this like Robert Dear’s slaughter in Colorado, the as of yet unclear massacre in San Bernadino or the more clearly calculated slaughter’s in Paris or Bamako. Terrorism in its many forms will continue to be a feature of organized society for some time to come. A new piece for Jamestown looking at a case currently ongoing in the UK against a Bangladeshi chap who may or may not have been in contact with Anwar al-Awlaki. An interesting case, and I have a feeling the fact he confessed to the JMB charges will probably play against him. Rajib Karim, Bangladeshi national resident in the UK who pled guilty to charges of assisting Jamaat ul-Mujahideen Bangladesh (JMB). 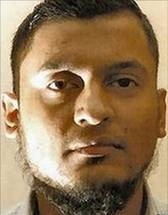 Rajib Karim, a 31-year-old Bangladeshi national resident in the United Kingdom, pled guilty on January 31 to charges of assisting Bangladeshi terrorist group Jamaat ul-Mujahideen Bangladesh (JMB). Confessing to helping produce and distribute videos on behalf of the JMB, sending money for terrorist purposes and offering himself for terror training abroad, Karim’s admission was made public at the beginning of a trial against him at Woolwich Crown Court in suburban London (Press Association [London], January 31; BdNews24.com [Dhaka], February 2). Founded in 1998, the JMB is the largest extremist group in Bangladesh. The movement has expressed its opposition to democracy, socialism, secularism, cultural events, public entertainment and women’s rights through hundreds of bombings within Bangladesh. Though banned in 2005, the movement is believed to still maintain ties with various Islamist groups in the country. According to information released at the opening of his trial, Karim first came to the UK in 2006 with his wife to seek a hospital for their child who was sick with what they thought was cancer (Guardian, February 2). The child got better and by September of the next year Karim had secured a position in a British Airways trainee scheme in Newcastle. According to the prosecution, he established himself as a sleeper agent in the UK, making “a very conscious and successful effort to adopt this low profile.” He kept his beard short, did not become involved in local Muslim groups, did not express radical views, played football locally, went to the gym and was described by people who knew him as “mild-mannered, well-educated and respectful” (Newcastle Evening Chronicle, February 2). Much of the prosecution’s information on Karim appears to come from electronic communications between himself and his brother Tehzeeb that the police were able to find on Karim’s hard-drive. According to the prosecutor’s opening statement, Tehzeeb was also a long-term radical for JMB who travelled in 2009 with two others from Bangladesh to Yemen to seek out Anwar al-Awlaki (Press Association, February 1). Once connected with Awlaki, Tehzeeb told the Yemeni-American preacher of his brother. Awlaki recognized the benefits of having such a contact in place and in January 2010, the preacher is said to have emailed Karim, saying “my advice to you is to remain in your current position….I pray that Allah may grant us a breakthrough through you [to find] limitations and cracks in airport security systems.” The preacher apparently found the brothers of such importance that he sent them a personal voice message to counter claims of his death that had circulated in December 2009 (Press Association, February 2). It seems as though Karim was in contact with extremist commanders long before this. According to the prosecution’s case, anonymous “terror chiefs abroad” wanted him to remain in his British Airways job as far back as November 2007 and to become a “managing director” for them. In an email exchange with his brother at around this time, the two discussed whether a small team could also “be the beginning of another July Seven;” a supposed reference to the July 7, 2005 terrorist attacks on London’s underground system (Press Association, February 2). It is unclear at the moment who these terror chiefs were, though it has been suggested Karim was in contact with Awlaki for more than two years. By early 2011, Karim had become of greater concern to British police. His emails to his brother indicated that he was becoming restless and wanted to go abroad to fight. He had apparently spoken to his wife about this prospect, reporting to his brother that he “told her if she wants to, she can make hijrah [migration] with me and if the new baby dies or she dies while delivering, it is qadr Allah [predestined] and they will be counted as martyrs” (Press Association, February 2). He was also exchanging emails with Anwar al-Awlaki that indicated he had made contact with “two brothers [i.e. Muslims], one who works in baggage handling at Heathrow and another who works in airport security. Both are good practicing brothers and sympathize.” Awlaki was doubtless pleased to hear this, though he indicated, “our highest priority is the U.S. Anything there, even on a smaller scale compared to what we may do in the UK, would be our choice” (Daily Mail, February 2). It seems likely that the “brothers” referred to were those picked up by police in Slough a month after Karim’s arrest, though none were charged (The Times, March 4, 2010; Telegraph, March 10, 2010). This message and others turned up after Metropolitan Police, with the assistance of Britain’s intelligence agencies, were able to crack the rather complex encryption system that Karim used to store his messages and information on his computers (Daily Star [Dhaka], February 15). Much of this now appears to be the foundation of the case against Karim beyond the charges he has already admitted to as a member of JMB. JMB has some history in the UK; acting on a British intelligence tip, Bangladeshi forces raided a charity-run school in March 2009 and found a large cache of weapons and extremist material. One of the key individuals involved in the charity was a figure who is believed to be a long-term British intelligence target. In another case, two British-Bangladeshi brothers allegedly linked to the banned British extremist group al-Muhajiroun were accused of giving the JMB money. In neither case was there evidence the UK was targeted and it seems as though prosecutors in this current case are more eager to incarcerate Karim for his connections with Anwar al-Awlaki and AQAP than for his involvement with JMB abroad. 1. Theresa May speech at the Royal United Services Institute (RUSI), November 3, 2010,www.rusi.org/news/,/ref:N4CD17AFA05486/. 2. “The Threat from Jamaat-ul Mujahideen Bangladesh,” International Crisis Group, Asia Report no.187, March 1, 2010, www.crisisgroup.org/~/media/Files/asia/south-asia/bangladesh/187_the_threat_from_jamaat_ul_mujahideen_bangladesh.ashx.